"Pogba's an idiot, leaving would be the best outcome for everyone"
Former Manchester United and Liverpool midfielder, among others, Paul Ince has called Paul Pogba "an idiot" in his role as an ambassador for the betting company Paddy Power. "Pogba es un idiota. 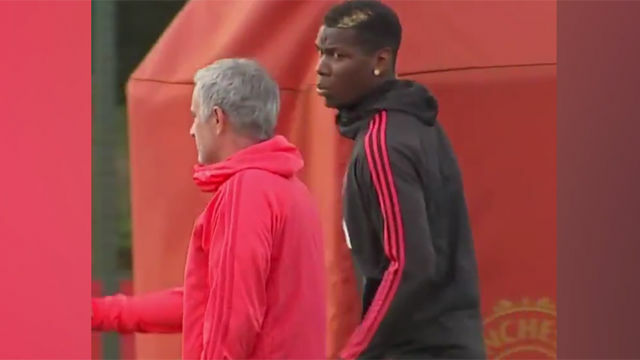 Lo mejor para todos sería su salida"
The tension between Pogba and United coach Jose Mourinho has been a theme of the English club's season. The French midfielder was left on the bench against Arsenal in midweek. Ince has said: "Pogba's supposed to be world class, but he looks bang average. If he thinks his place is to come on the pitch and do stupid little flicks and tricks which lead to them losing the ball -- he's an idiot." The ex-England international also sided with Mourinho, who's come in for criticism in recent weeks with United miles of the pace in the Premier League and not even in the top six. "You can blame Jose Mourinho for some things, but you can't blame him for everything," Ince added. "Pogba doesn't help him himself, and he's right to be dropped. "The attitude of the fans to me seems to be that if he's that desperate to leave Old Trafford -- he should just go. In fact, that would be the best outcome for everyone involved. With Pogba's situation at Old Trafford at tipping point, a return to Juventus has been linked. The midfielder would be delighted to return to Turin, where he would be received with open arms.